A big surprise for those in Hall H.
Warner Bros held a massive panel at San Diego Comic-Con this past weekend, at the heart of which was a presentation of the studio's upcoming DC slate, under what's now being called the 'Worlds of DC' banner. While fans not lucky enough to be in Hall H were still treated to a great Shazam! trailer and a promising first look at Aquaman, those who were in attendance had a couple of extra surprises. There was more Aquaman footage, which was reportedly better than the trailer, and even bigger was the debut of Petty Jenkins' Wonder Woman 1984. "The brief clip opened in a mall, where Diana leaps into action surrounded by punchy, neon (oh-so-80s) colors. A young girl is snacking on some mall concessions and sees her, and she let’s out an adorable little “Oh my gosh!” She’s so busy looking at her hero, she doesn’t see the two bad guys, fully locked and loaded. Diana scoops up the kid and slides her across the floor to safety, where she gently lands in the arms of a giant teddy bear and giggles. "Back to Wonder Woman, who gives the goons a disappointed, disapproving look and crushes their guns, one in each hand. She double lassos them and jumps over the mall balcony in a classic superhero exit. Just before the end of the footage, we got a peek at Wonder Woman charging full speed down a city street (it’s that scene you probably saw filming in those set videos), and she is just booking it." 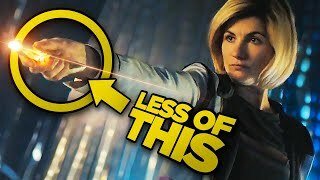 It sounds like it's keeping the same spirit from the first movie then, and adding even more fun and brighter colours to it. As for the panel itself, everyone was staying quiet on how exactly Chris Pine's Steve Trevor is back, while emphasising that this is very much its own story rather than a typical sequel. 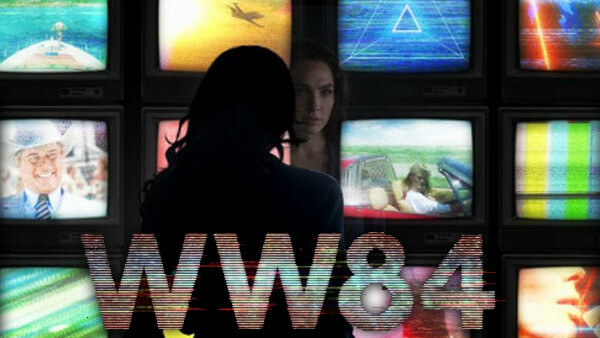 Are you excited for Wonder Woman 1984? Let us know down in the comments.